THE MOST AUTHENTIC 80's DANCE PARTY IN THE UNIVERSE - Special In Love with The 80’s BONUS EDITION! 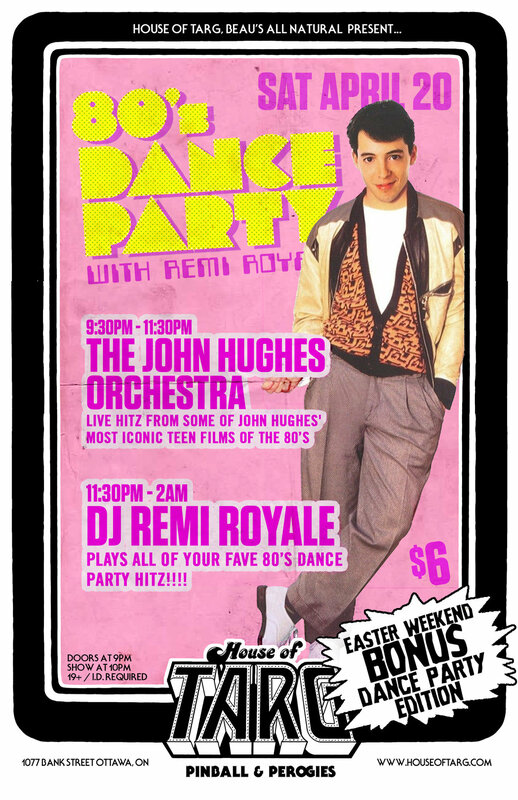 That’s right Remi is putting on 2 amazing 80’s nites in the month of April. Performing selected hit singles from some of John Hughes' most iconic teen films of the 80’s including Pretty In Pink, The Breakfast Club, Ferris Bueller's Day Off & more. Expect to hear New Wave classics by The Psychedelic furs, OMD, Simple Minds, The Thompson Twins, Echo and the Bunnymen, The Church, Modern English, Erasure.